Spitbank Fort is a sea fort that was built as a result of the 1859 Royal Commission. It is located on a private island in Solent, England and is only 2 hours away from London. Its only 30 minutes away from Portsmouth or Southampton when you arrive by private boat. The fort was declared surplus in 1962 and was disposed of by the Ministry Of Defense in 1982. Today it is vastly different from what it started out as. 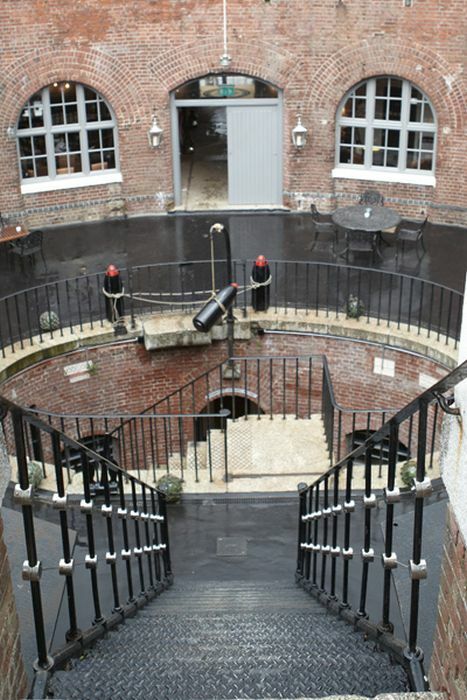 The fort is now privately owned and operated by Amazing Venues under the Solent Forts brand. 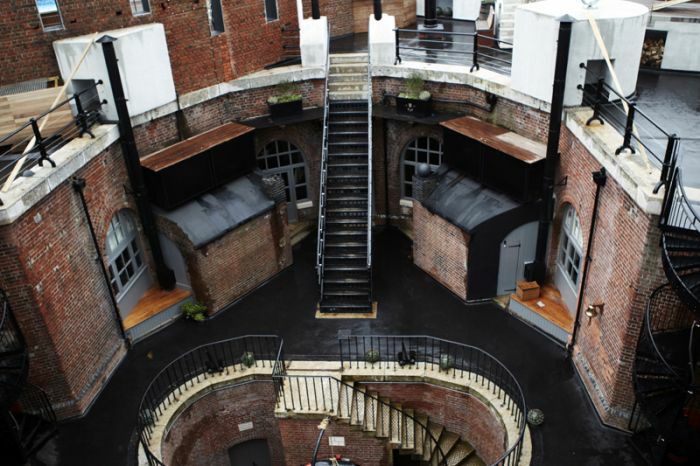 Its no longer a conventional military fortress. In fact its the furthest thing from a destructive weapon of war. 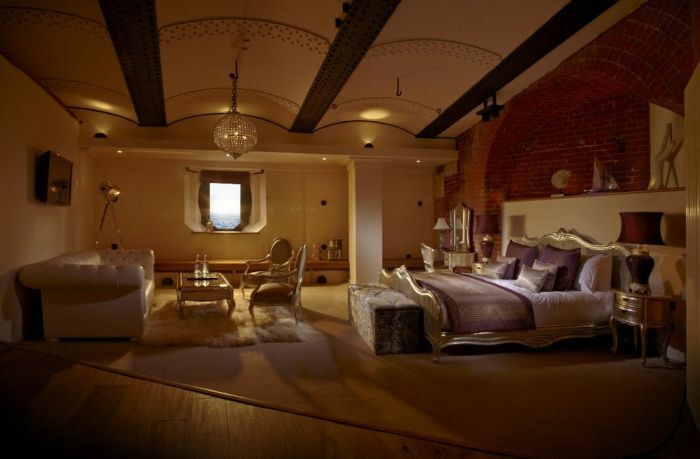 Take a look at what they have turned this old military fort in to. Youll definitely want to pay a visit to this old sea fort because its pretty amazing. But dont take our word for it, check it out for yourself below. It was originally planned to have been armed with nine 10 feet tall, eighteen ton, rifled, muzzle loader guns on the seaward side, and six 7 feet tall, seven ton, RML guns on the landward side. 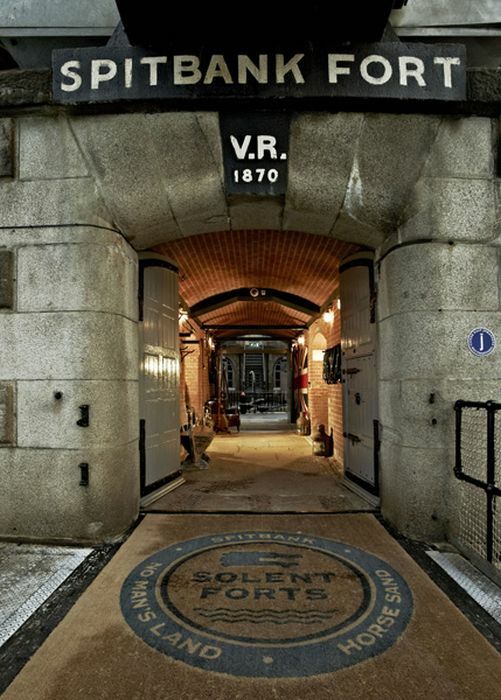 The entrance to the Spitbank Fort looks just as it did years ago, minus the new rug. The cold stone entrance is reminiscent of the past battles that this building has been through. 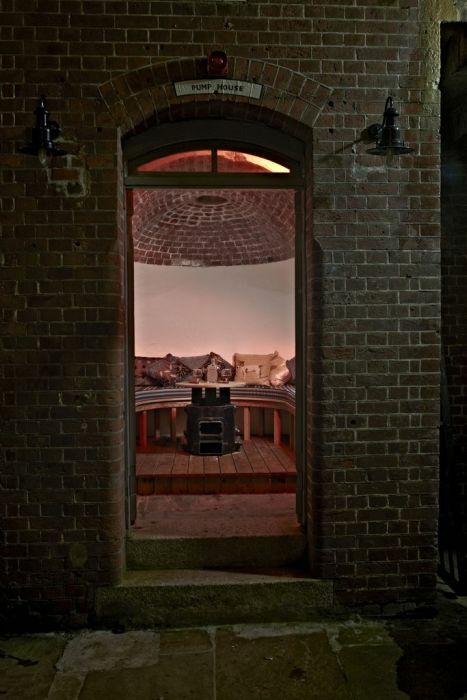 In 1898, the role of the fort was changed to defend against light craft and the roof was fitted out with two 4.7 guns as well as gigantic searchlights. The architecture of this place was purposefully built to withstand anything that was thrown at it. It is structurally fortified and it shows. The character that comes with this fort is incredibly unique and one of a kind. You can rent out the entire island for private events, depending on your needs. 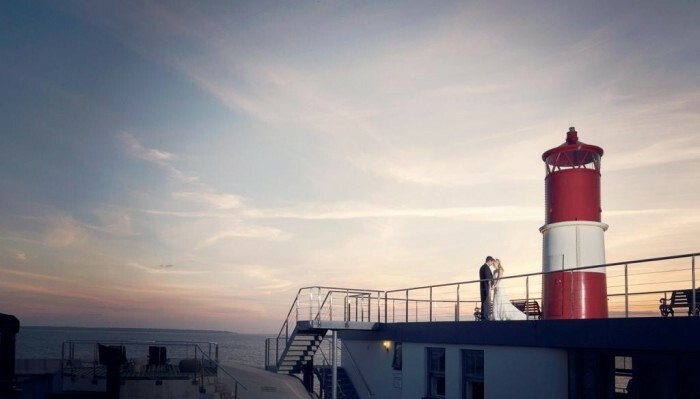 You can also get married at the Spitbank Fort. 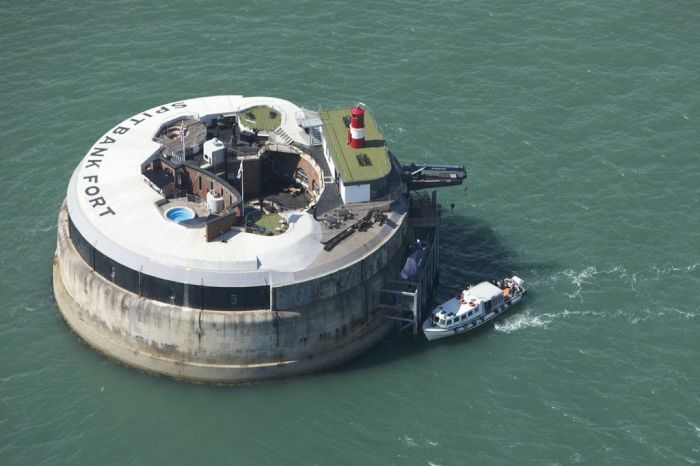 Spitbank Fort is now the most exclusive venue on the South Coast. 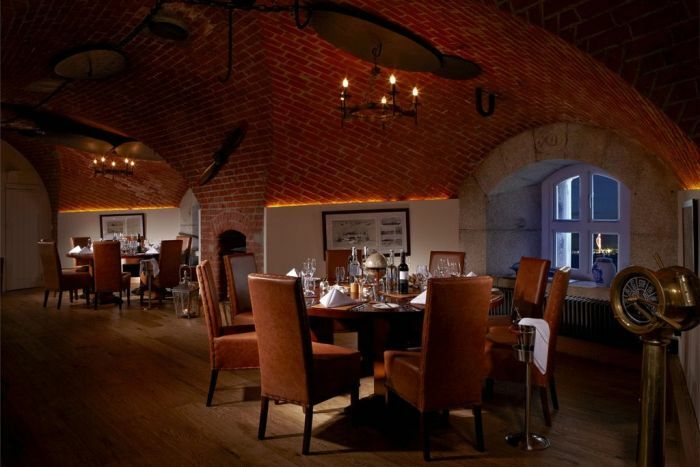 This is the main dining room at the venue, where they host parties and formal dinners. Imagine dining with the sun setting in the background while you stare out at the ocean. There are three bar and restaurant areas. The hotel comes with a sauna, a roof top pool, and fire pit that guests can use as well. 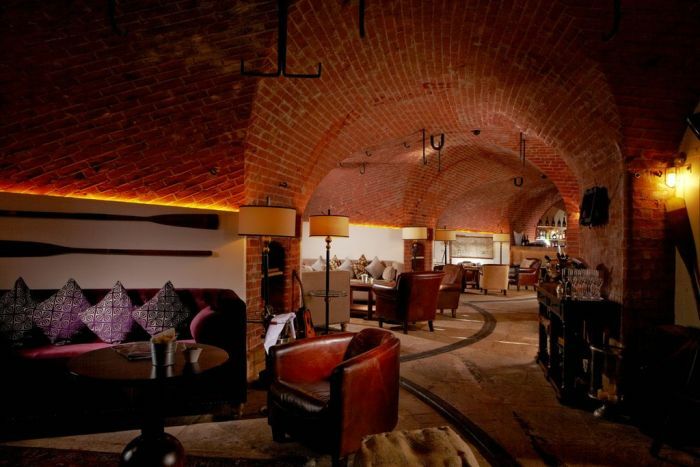 It also has its own dance hall, and is available for private functions. One of the guest quarters is pictured above. The view out the window is absolutely stunning. 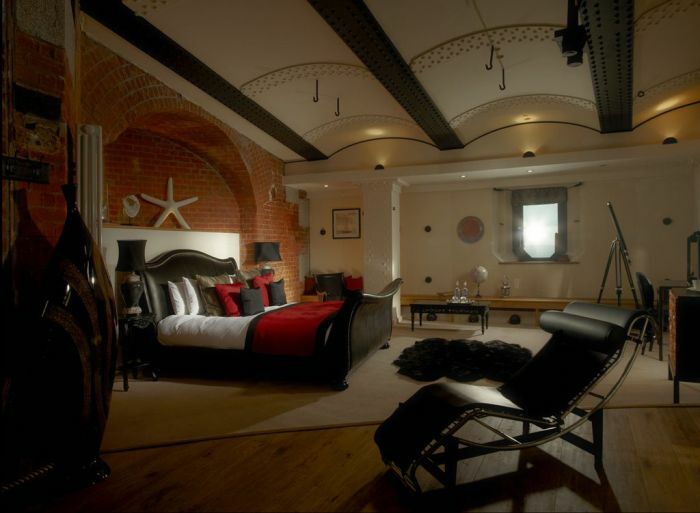 Spitbank Fort offers luxuriously furnished bedroom suites. 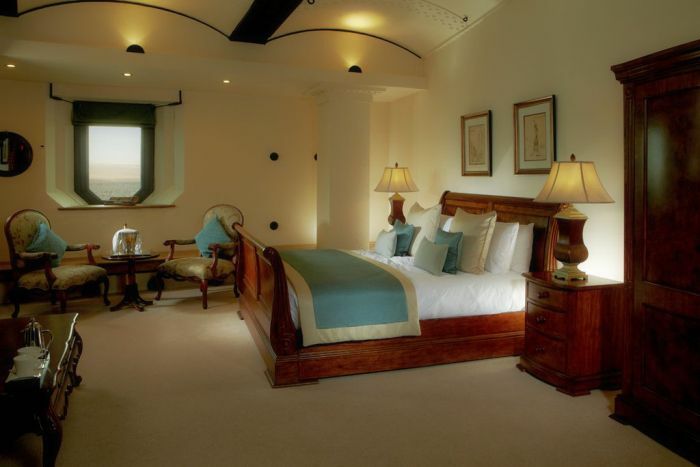 The private suites are spacious and offer all the amenities that you would get if you werent on a private island. 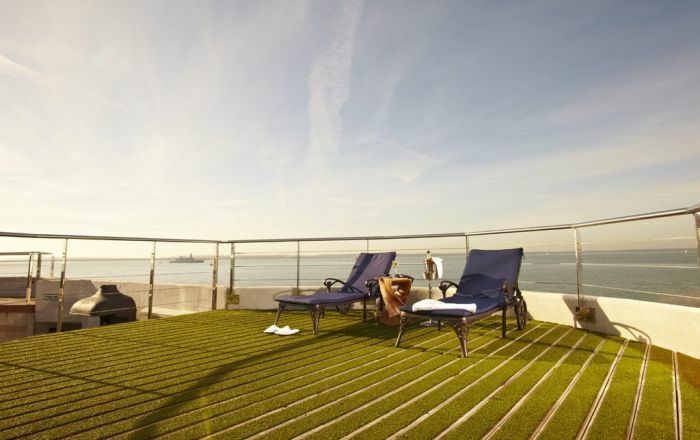 Get some rest and relaxation on the roof top pool with nothing around but you and the ocean. 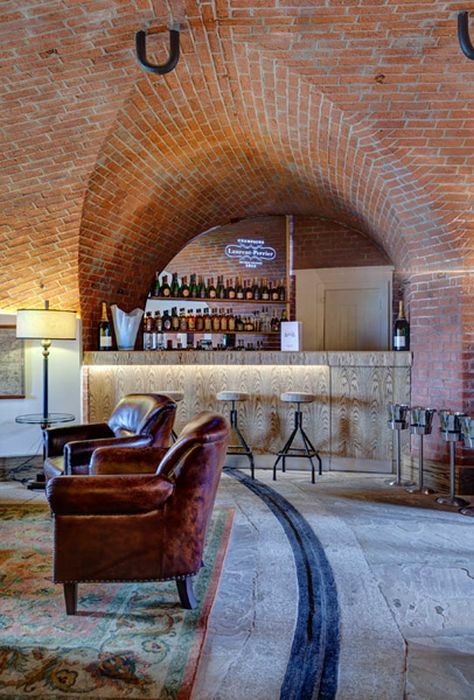 There are few venues in the world that can offer the privacy and exclusivity of Spitbank Fort. This has become the ultimate party destination as they host bachelor/bachelorette parties, wedding parties, birthday parties, and anniversaries. It was the venue for the Coalition Festival in the summer of 2009. Beginning June 4, 2002 the Fort was used as a location for Banged Up With Beadle. For six weeks, British TV personality Jeremy Beadle was locked in its dungeons. Cameras followed him as he coped with survival, plus learning skills with a different member of the public each week.